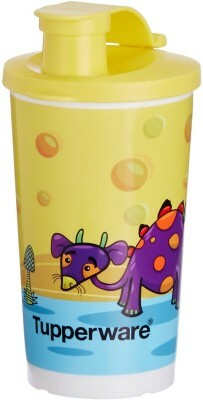 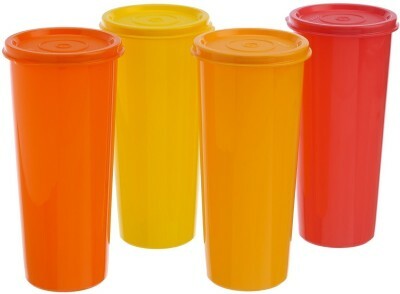 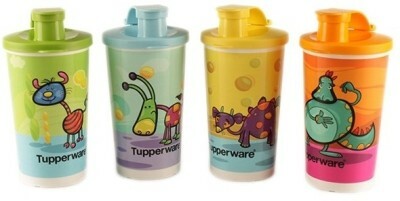 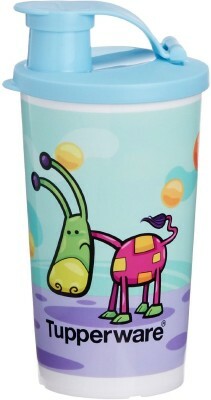 Designed in bright and attractive colours, this set of four superior quality tumblers by Tupperware are suitable for all age groups. Ideal for carrying buttermilk to work or your energy drink when exercising, these tumblers also help storing everyday liquid items in the fridge easily. 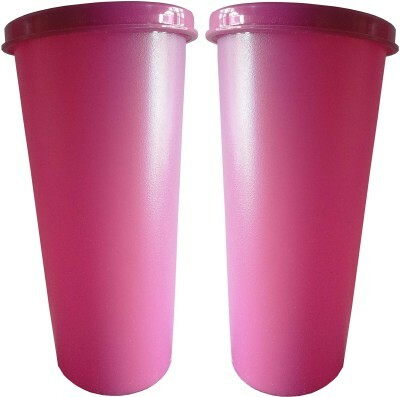 The air-tight and liquid-tight seal ensures no spillage, leaving you worry-free. 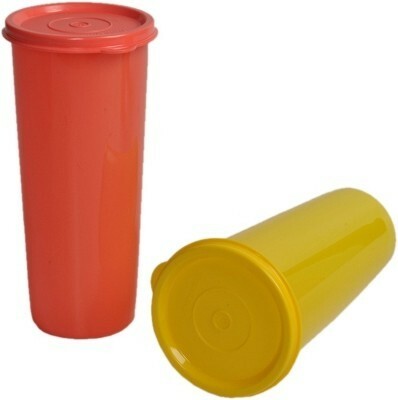 It flaunts a convenient size to give a perfect grip as you hold it in your hands. 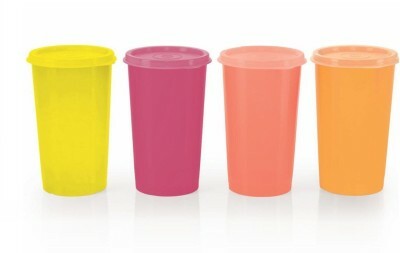 Colour of the Products shown in the image is indicative. 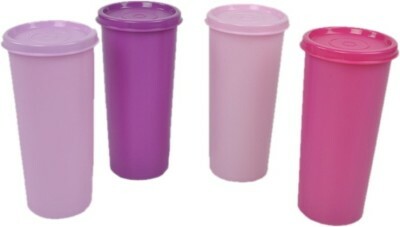 Tupperware as a manufacturer keep changing the colours of the product very often hence customer will be getting the product based on the colour available at that point of time.